Nonprofit Cloud is an exciting set of technologies designed by Salesforce.org to help nonprofits, foundations, and associations build capacity and scale with ease. Nonprofit Cloud Kits are bundled products and solutions with a focus on certain types and sizes of organizations. Growth Kit is designed with the small and medium-sized nonprofit in mind and provides all the technologies necessary to begin using Salesforce as a Constituent Relationship Management (CRM) tool and to incorporate marketing automation into an organization’s communication efforts. NPSP is a set of packaged Salesforce configurations that enables nonprofits to use Salesforce “out of the box” as a constituent relationship management (CRM) platform and manage constituents, programs, and communications data. 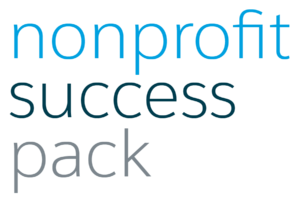 NPSP was developed for nonprofits with the unique business needs and processes that differentiate a not-for-profit from a for-profit front and center. There are 60+ reports included in NPSP/Growth Kit including “Members who have renewed in the last 60 days”, “Development Forecasting”, “Closed/Won Opps by Type and Fiscal Year”, “Accounts that Donated Last Year, but Not this Year”, and many others. Built on the Salesforce platform, Pardot is robust marketing automation software that provides a 360-degree view of individual constituent behavior across your organization’s website, social media, and other digital channels. Customized email marketing, landing pages, and forms can be designed and managed within Pardot and all user interactions are recorded at the contact level. Create email nurture campaigns to deliver personalized and relevant communications at scale. Based on response, and as you learn more about each constituent you can trigger additional communications, add user to list(s), adjust the user’s engagement score, send the user to a member of your Development team in Salesforce, etc. The possibilities are endless. And, at the end of the day (or a campaign, a fiscal quarter…) view return on investment (ROI) reports in Pardot and understand exactly how a particular initiative performed. 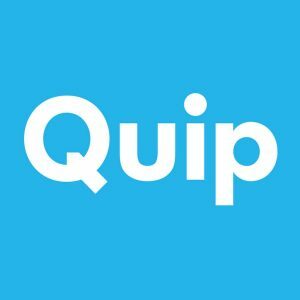 Quip is an integrated collaboration platform for connected teams. Accessible from anywhere (browser, desktop, and mobile app) Quip enables real-time collaboration with built-in chat for individuals and teams. Members can work together within the same file, add checklists and assignees, along with due dates and calendars. With live data from Salesforce, any Quip document can provide real-time insight into contacts, accounts, opportunities, etc. A vast Integrations library connects Quip to hundreds of other products, including Google, Dropbox, Twitter, and more. Growth Kit helps you manage your programs and relationships, measure your mission, and collaborate with individuals and teams. Contact Fíonta to learn more about Salesforce Nonprofit Growth Kit.